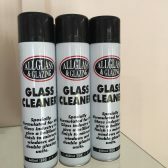 AllGlass & Glazing, more than just glass and glazing! Introducing our glass cleaner! Get in touch today for more information and a free, no-obligation quote.